Are you looking for a way to teach or reinforce math lessons? Kids rarely want to sit down and actually do the math, which is why many companies have created interactive games that make learning fun. Here are five excellent math games for kids that can help any child who is struggling. Mathlingo helps kids learn everything from basic counting and simple geometry to addition and subtraction. It’s mainly aimed at younger children. Some of the games focus on basic skills such as shape recognition and matching, while others provide the opportunity to practice addition and subtraction. All of these games are presented through cute animations and a simple to use interface. To know more information about the Mathlingo app by Mafooly, check them out in the App store or the Play store. Kids Math is designed for younger children, but it focuses on more than number recognition and basic counting. It includes skills such as determining numbers that are bigger or smaller than other numbers and even some very basic fraction problems. The game creates new questions for each game, so kids rarely get the same ones. Problems are aimed at children between ages three and five. 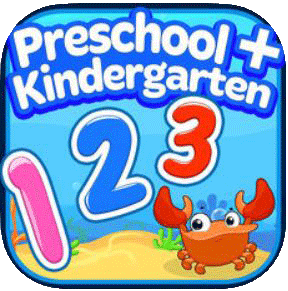 Mathmateer is an iOS program for kids up to eleven years old. Players take on the role of an engineer building a rocket ship. They have to earn money for ship parts by solving math problems. The game includes pattern recognition, fractions, square roots, and time telling. For older elementary kids, Mathmateer may provide more compelling challenges and rewards. This app will help your child look at money, including how to recognize coins, sort them, and count change. It may focus on a fairly narrow area of math, but it teaches addition and subtraction through real-world situations. The games are aimed at children ages four to seven and are taught by the animated Peter Pig. In addition to learning math skills, the game also teaches fun facts about currency. It was actually created by Visa, and it’s available for free on Android. Learning multiplication can be one of the most difficult math skills for some children. Some hate trying to memorize their time’s tables, while others may get frustrated with how different it is from addition and subtraction. Crazy Times Tables makes multiplication less of a chore by presenting it through fun math games for kids. The game is designed for ages five to ten and uses photos and a personalized approach to learning. It’s available for iOS. Whether your children are ready to learn basic counting and math skills or are in need of help with multiplication, you’ll find a great math game to assist them. 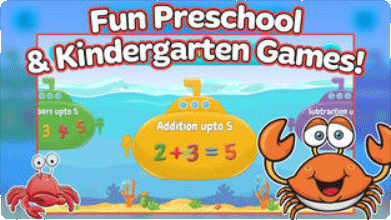 These five are only a few of the best math games for kids out there.